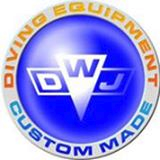 DWJ is a company working in sharm el Sheikh since 2002. Our business is the repair and modification of drysuits, wetsuits, BCDs, and custom made dive suits and accessories. Our experience working for professional divers and diving centres gave us the knowledge to meet their requirement both for personal equipment and diving centres equipment maintenance. All our works are guaranteed.